As a fitness instructor, Lydia’s personal experiences of losing 60 pounds, and keeping the weight off, align with her mission to help others feel great about themselves and achieve their fitness dreams. She is a highly qualified professional—she holds a Bachelor’s in Psychology from John Carroll University, and is certified in numerous areas of fitness, including yoga ball, Zumba, TRX, and personal training. 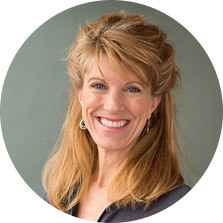 Lydia has worked in the health industry for 25 years and can offer strong guidance for health and wellness.